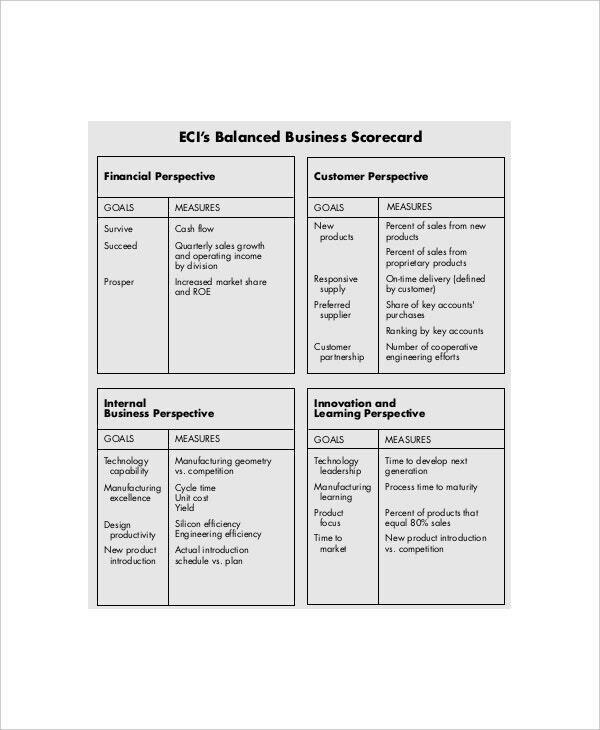 For a business to run successfully and efficiently, it is a need of the hour to have a balanced scorecard template. 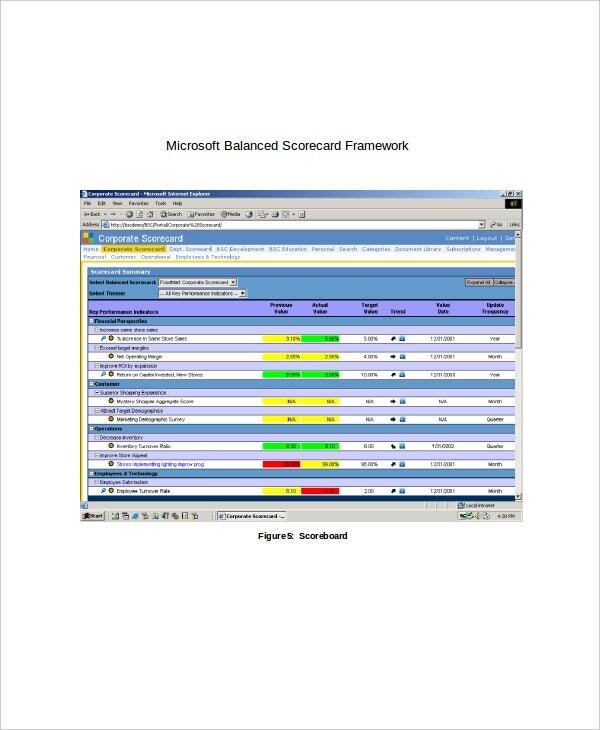 Though this scorecard is used to monitor all the activities, another main purpose that it fulfills is that it even keeps a check whether all the organizational regulations and policies are implemented. 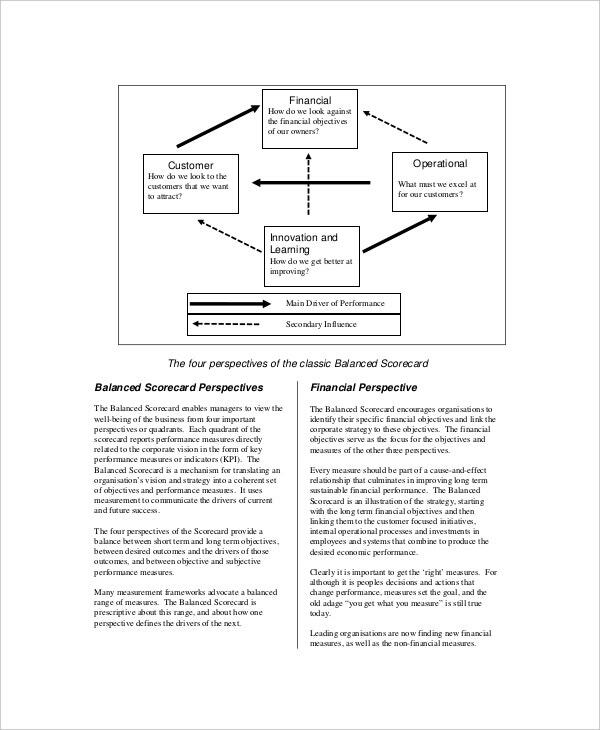 In order to achieve the desired objectives and goals of a business, the balanced scorecard is an extra hand that helps in the smooth running of that business. Examples may be viewed in which samples and formats are present. You can also see Scoreboard Templates in Microsoft Word Format. This type of the template is especially used by HR managers to rate and assess the employees. It is an effective tool used in the general process of human resource planning as it gives the true picture of the strengths of each employee and also reveals the training needs that maybe identified. A non profit organization may use this document to manage its projects for effective implementation. It is used in this case to monitor the effectiveness of the project and to identify the areas of modification and where to put more emphasis. It is a tool for every project manager since it is a feedback system. Even start up businesses need monitoring. This is especially important since there are so many unknown factors and uncertainties when a business is in the initial stages. With this tool, a close monitoring can help the management make quick adjustments so as to save the company from failing in the early stages. 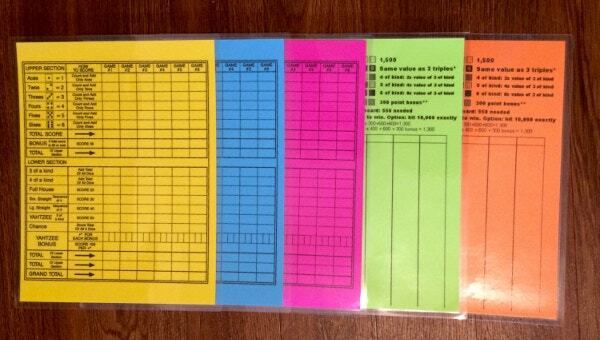 > Where are these Templates used in Organizations? 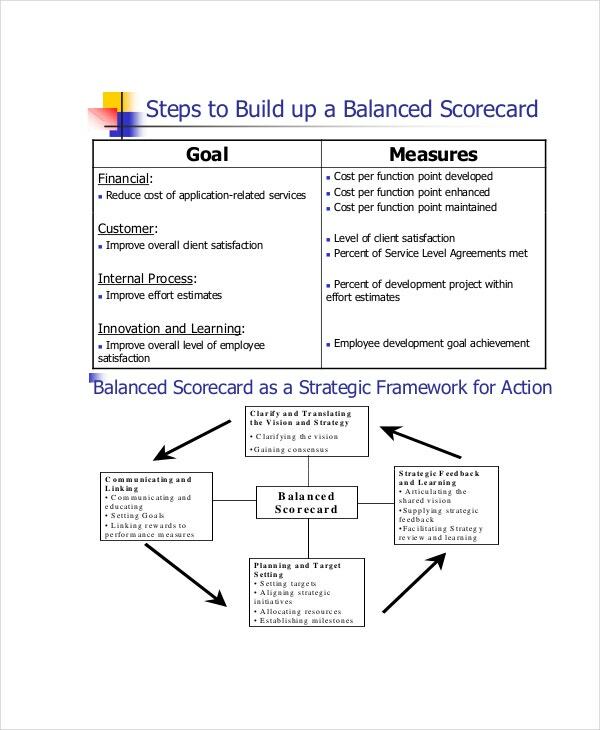 Various organizations use the balanced scorecard differently depending on their specific needs. 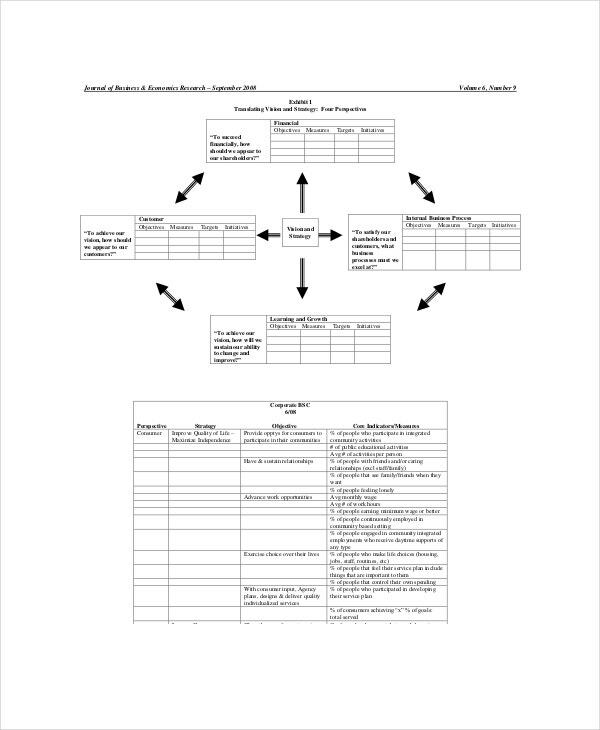 When undertaking a project it is important to use a balanced scorecard template that is professionally designed like this sample to get the correct results and guidance from the tool. It guides an organization or a specific department to identify what areas they can improve on and to assess their performance in general. For human resource managers, this tool helps identify the strengths and training needs for each employee therefore helping with human resource planning among other staffing duties. Every serious and professional organization should consider applying this tool in their operations. 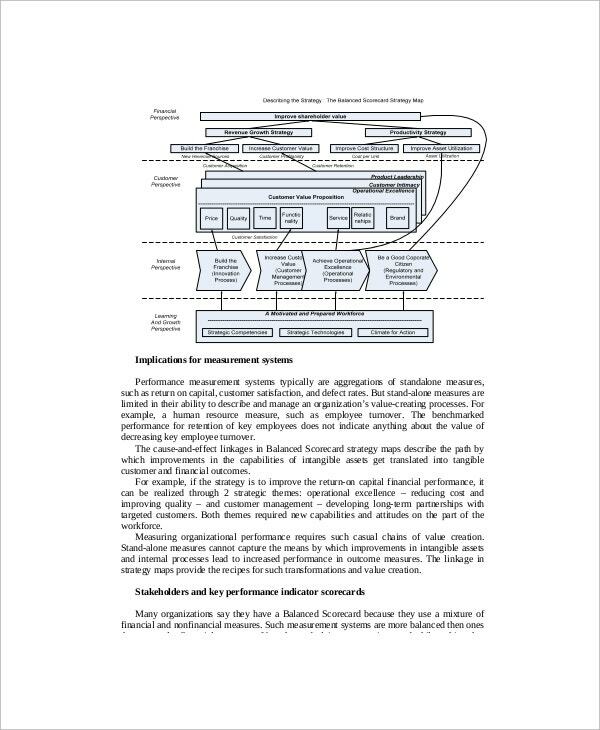 > Who are the Targets for this Document in Organizations? This template attracts so many targets as it is an important and helpful document. For the human resource managers, it is used to maximize the productive capacity of the workforce by focusing on each individual employee. The project manager can use this too as it is an important tool in the success of a project. 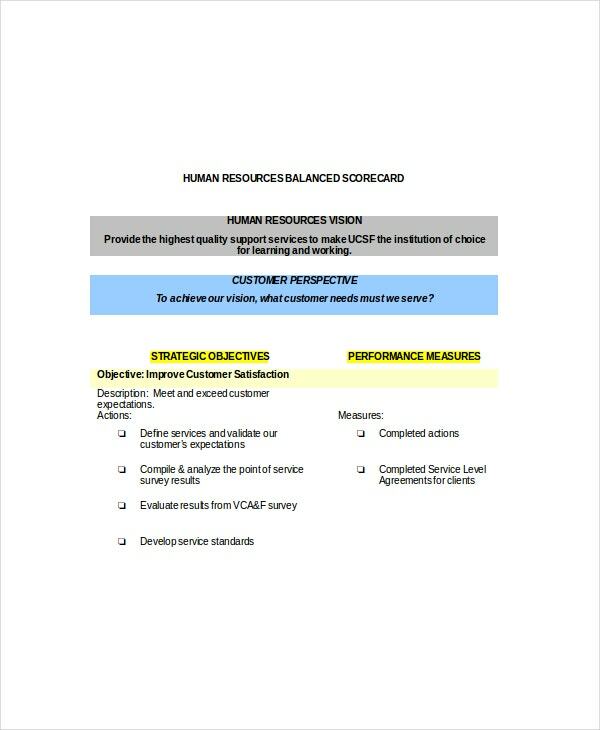 The progress and maximization of efficiency for any ongoing project can effectively be monitored by the use of a balanced scorecard template like this example. 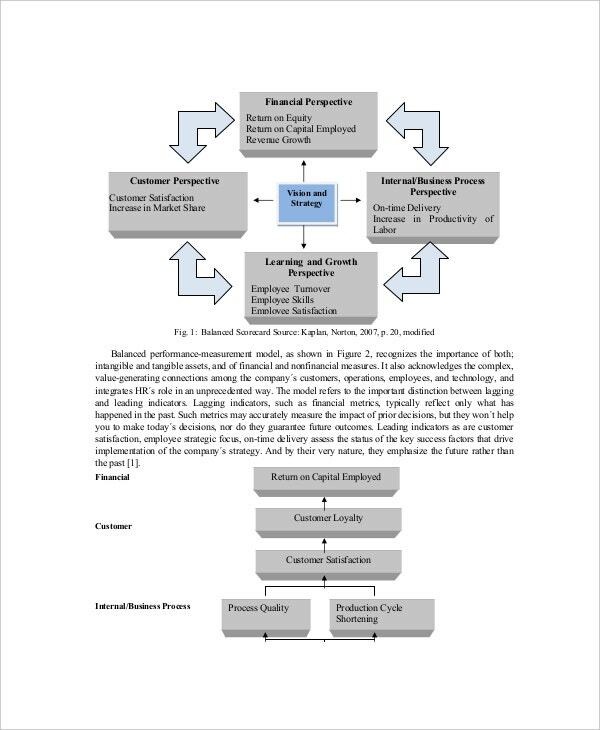 Shareholders and other stakeholders too are interested parties to the balanced scorecard as it measures specific levels of performance of a department of organization. You can also see Scoreboard Templates. It tracks the implementation of strategy by the use of a specific measure. On the financial aspect, it helps the management identify high relevant financial measures to help show the shareholders the company’s financial standing considering sales, cash flow, return on investments and operating income. It helps identify measures and monitor their implementation for example how do customers see us and are deliveries made to them on time? It also helps identify the internal measures to assess what the organization must excel at and how to be better. The organization can know where to focus more on learning and growth. This strategy performance management tool is used by managers in various fields to monitor and control the execution of activities. The examples available can help any manager to make the best use the resources within his control. They may be operational and have some strategic intent focused on the organizational plan. You can also see Scoreboard Templates.